The Saumur Tank Museum is one of the largest collections of armoured vehicles from the First World War that currently exists anywhere in the world. "It's the best tank in the world." He couldn't say better because in 1945, the divisions of T34 tanks ended as victors in the heart of ruined Berlin. This tank was indisputably one of the Red Army's instruments of victory. Its design was simple, well researched and standardised for mass production. Its powerful and robust 12 cylinder diesel engine and its wide track-laying assembly made the T34 frighteningly effective. The immensity of the Russian plains and an extreme climate took priority over the sophisticated mechanics of the German tanks, which required significant maintenance every day, while the maintenance of the T34 was limited to merely checking the oil and fuel levels. 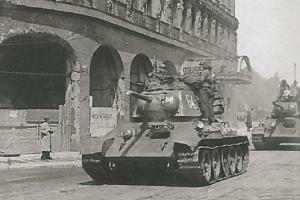 The T34 represented the most fabulous war effort by a population that was starving, scattered and constantly bombarded. At the beginning of the summer of 1941, while the German army was rapidly advancing deep into Russian territory, 25 million Russian civilians mobilised to begin relocating the 1,500 military production factories. In the middle of winter, in spite of temperatures dropping to -40°, thousands of heavily loaded trains delivered the equipment to completely rebuild industrial complexes more than 300 km from their original locations. Many workers restarted the T34 assembly lines even though the factories did not yet have any roofs, never mind any heating. Able-bodied men waged terrible battles on the front, while the women, children and old people worked night and day on assembling weapons and tanks. Thanks to these desperately-determined efforts, the German troops were stopped just a few kilometres from Moscow. The career of the T34 continued until 1996. 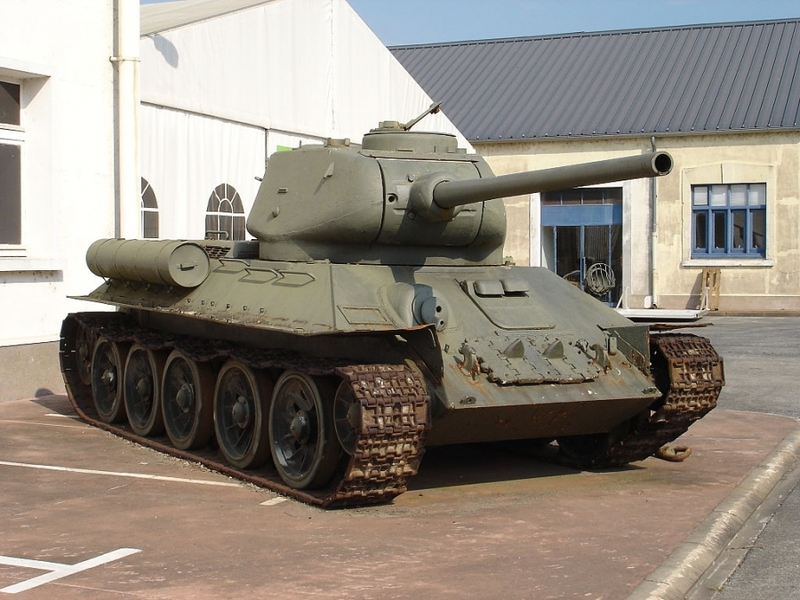 The T34/85 was the last version of the legendary T34. It was equipped with a larger turret, which held a formidable 85 mm gun, which enabled it to destroy all other tanks. The Tank Museum will present this tank in a diorama that reproduces the battles on the Eastern front. Engine: 38 litre overhead camshaft V12 diesel. Consumption: 160 litres per 100 km. 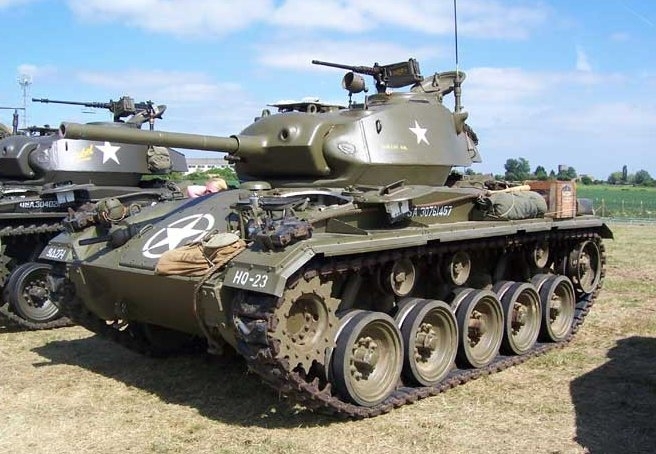 This year, the team at the Saumur Tank Museum will present the American Chaffee M24 tank. The Chaffee has all the capacities of a light tank: it is swift, robust and has flexible suspension. This tank has two superb Cadillac V8 engines that drive it at 60 km/h through an automatic gearbox. 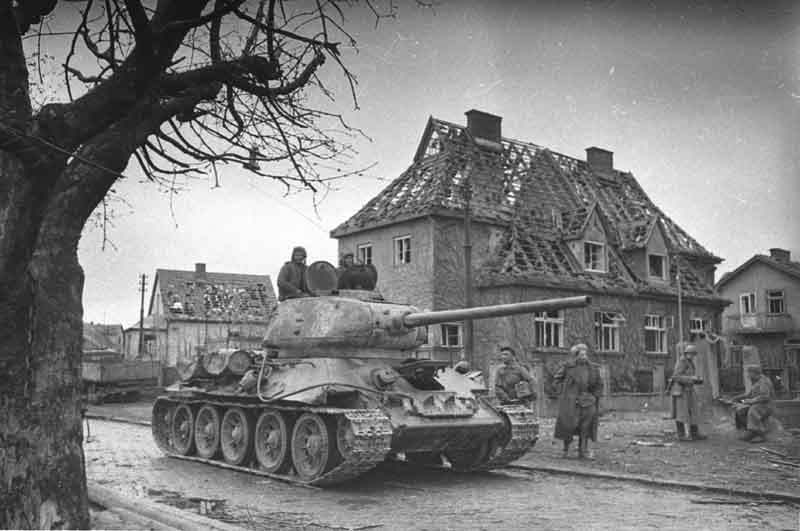 It received its baptism of fire in the battle of the Ardennes in 1944. Visitors will be invited to participate in start-ups and dynamic demonstrations of this surprising tank. Armament: one 75 mm gun, 48 shells – two 7.62 mm machine guns, 3,750 cartridges, one 12.7 mm machine gun, 440 cartridges.